What Common Household Device Was Originally Created for NASA’s Skylab Space Station? The Best Known Example Of Thanatosis In The Animal Kingdom Is Found In The? 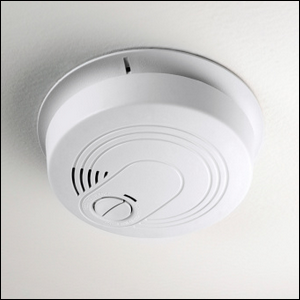 In millions of homes around the world there are simple and inexpensive smoke detectors that use a radioactive isotope of Americium-241 to detect smoke’s extremely fine particulate in the air and sound a life-saving alarm. This cheap and readily available smoke detector design was invented in the 1970s by the Honeywell Corporation at the behest of none other than NASA. The space agency wanted small and long-lived devices that would detect smoke and toxic gases aboard the space station, a place where early detection of smoke, fire, or overall deterioration of air quality was absolutely critical. By the end of the 1970s, the project yielded another innovation in smoke detection, the photoelectric smoke detector (which detected smoke particulate with a light sensor). Later, companies would combine the two detection types to create a more efficient smoke detector as the two methods were discovered to be more sensitive to different kinds of smoke and fire. According to the National Fire Protection Association, combination smoke detectors are the most effective as photoelectric sensors excel at detecting fires that begin with slow smoldering flames and ionization sensors excel at detecting fires where there isn’t a lot of smoke immediately visible (as the ionization sensor detects other chemical by-products of the combustion process).